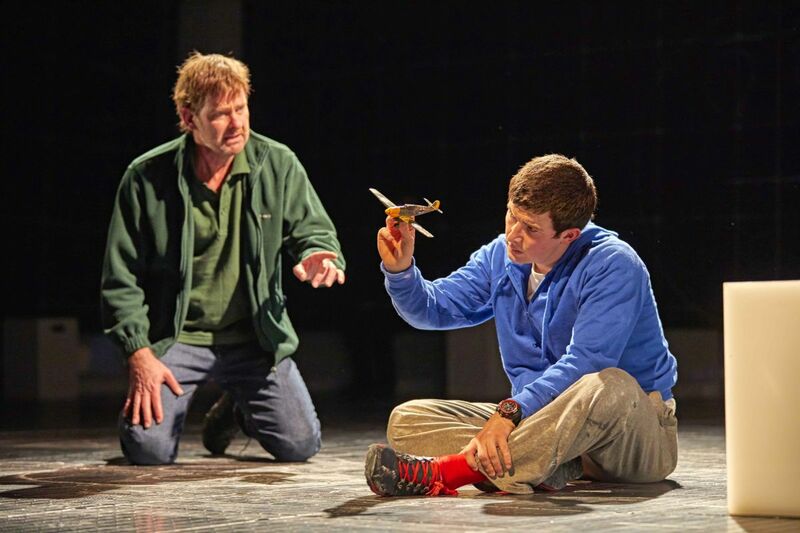 Duncan Harley reviews The Curious Incident of the Dog in the Night-Time – at HM Theatre, Aberdeen. The last time I reviewed Curious I was over the moon. A complete blast from beginning to end, the production enthralled, captivated and amazed. Intense doesn’t even begin to describe the audience experience. It’s more of an immersive introduction to the reality of not being able eat the yellow portions of a Battenberg cake – the pink squares are OK – and finding that the toilet is out of bounds because a complete stranger has used it. 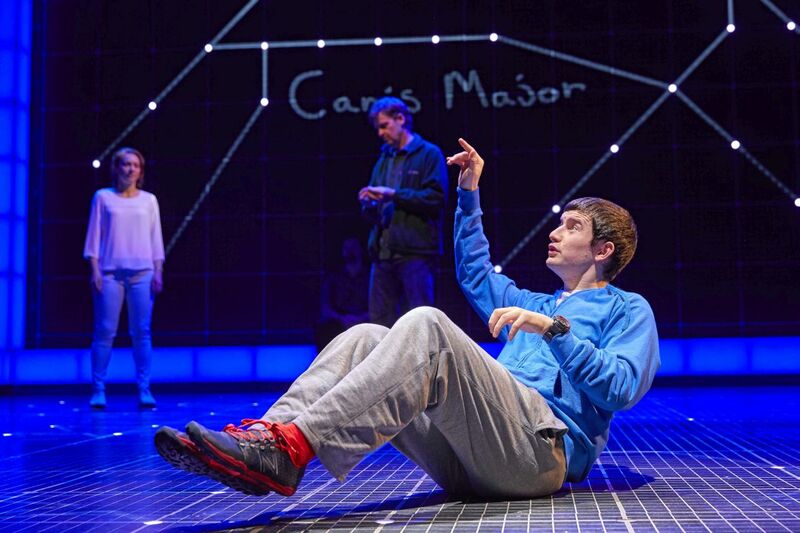 Based on the book of the same name, The Curious Incident of the Dog in the Night-Time highlights some of the issues faced by those who come into contact with those who differ markedly from the norm and of course many of the issues faced by those who are by nature quite different. Christopher, played by Scott Reid, exhibits what can really only be described as mind-blowingly challenging behavioural traits. He cannot bear to be touched, he becomes unbearably swamped by external stimuli, he cannot use a stranger’s toilet, he cannot tell a lie and takes everything completely literally – the list goes on and inevitably ticks all of the diagnostic boxes. The play presents as a reading of Christopher’s own written thoughts, read aloud in segments mainly by his mentor and school-teacher Siobhan, played beautifully by Lucianne McEvoy. The unfolding story takes place within a high-tech multi-media cuboid-set representing a gateway into Christopher’s consciousness. The drama literally takes place in Christopher’s head. When Wellington, the next-door neighbour’s dog, is found impaled; fifteen-year-old Christopher Boone, a brilliant mathematician with some pretty complex personal issues, turns sleuth. Emulating his hero Sherlock Holmes, he must solve the mystery of who killed Mrs Shears’ pet and absolve himself of complicity. After a long and often painful journey, including the realisation that Holmes was in fact a fictional detective, he solves the crime and is absolved. However, in the course of the exhaustive investigation he discovers skeletons galore in the family cupboard. At times funny, often terrifyingly intense and always challenging, Curious is a superb production and Scott Reid’s performance as Christopher is both electrifying in its intensity and engaging in its complexity. There are lighter moments. Animal lovers will drool over the cute Andrex Puppy. They may even take a fancy to Toby, Christopher’s pet rat. David Michaels and Emma Beattie excel as the long suffering and often desperate parents, kindly neighbours peek into his life and at one point a cheerily upbeat railway policeman takes time out to help him on his quest but it has to be said that this is essentially a stage show all about Christopher. The technical aspects of the production are worthy of a Hollywood blockbuster and have to be experienced to be believed. Aboyne born video designer Finn Ross has worked on everything from Festival Fringe through to Broadway and his expertise in combining live and pre-recorded imagery takes this live performance into exciting new realms. Lighting, sound and set design are likewise superb. Directed by Marianne Elliott, The Curious Incident of the Dog in the Night-Time plays at HMT Aberdeen until Saturday 12th August. Words © Duncan Harley and images courtesy of Aberdeen Performing Arts.